Nanoga, an EPFL-based startup, recently developed a new method to place a nanoscopic watermark onto ceramic or glass. It is not possible to fake products with this watermark, which is unseen by the naked eye and appears only when exposed to ultraviolet light. This new method of fighting against counterfeits helps produce unique products by retaining its appearance. The method developed at EPFL deals with an image that can be seen only under ultraviolent light and not by the naked eye. 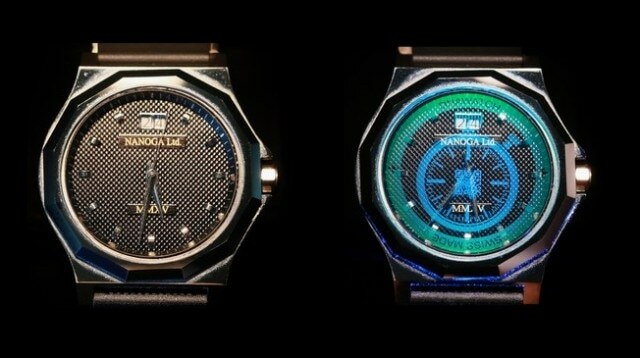 The method was primarily formulated for expensive sapphire crystal watches, but Nanoga recently patented a system of photonic watermarks for metal, ceramic and glass. The method ensures highly advanced security, and developing this type of nanometric image will be an extremely difficult process much similar to attempting to forge the Swiss 50-franc note. A confidential chemical formula that is patented and costly machinery are used in this process together with a professional touch from experts. A series of atom layers more than 10,000 times thinner than a strand of hair is finally obtained and this does not bring about changes in the properties of the material. In a machine generally used to produce LEDs, the substances settle on the surface in the form of a vapor. This is followed by activating specific areas for developing the watermark by using lithographic printing. Taking the form of atomic gymnastics, the deactivated atoms then react when shown to ultraviolet light and thus immediately expose themselves to the human eye. The lithographic printing is performed on a nanoscopic scale, which highlights the possibility of adding distinct details that are difficult to be read by the naked eye even after the introduction of the ultraviolent light. For example, a tiny series number not bigger than a grain of sand can be cautiously marked and will indeed be visible only when an extremely strong magnifying glass is used. This new method can be incorporated into the production process through a number of ways. The startup plans to obtain an industrial machine that will help depositing the nanophotonic layers, which is considered to be the most difficult step in the entire process. This allows product manufacturers to provide the glass that has to be marked with the image comprising a color of their own preference. The glass is obtained again and is not ready for fitting. Nasser Hefyene, CEO of Nanoga, is a skilled professional in the fake watch trade. Just a few years ago, he approached Nicolas Grandjean, professor at EPFL's Laboratory of Advanced Semiconductors for Photonics and Electronics. It was at this laboratory that he discovered what he was searching for, an anti-counterfeit technology that does not require a high-tech tool to confirm the accuracy of the product and that does not even change the appearance of the product. The aim was to combine tried-and-tested technologies in order to design a new security system that cannot be reproduced. This new method, which took almost two years to produce, is now readily available, and Hefyene has also succeeded in developing a certain amount of interest among luxury watchmakers. The task at hand is on how to break into this extremely vigilant market.